The UCM public relations Hall of Fame award was established in 2016 to recognize deserving UCM public relations alumni for program engagement and professional accomplishment. 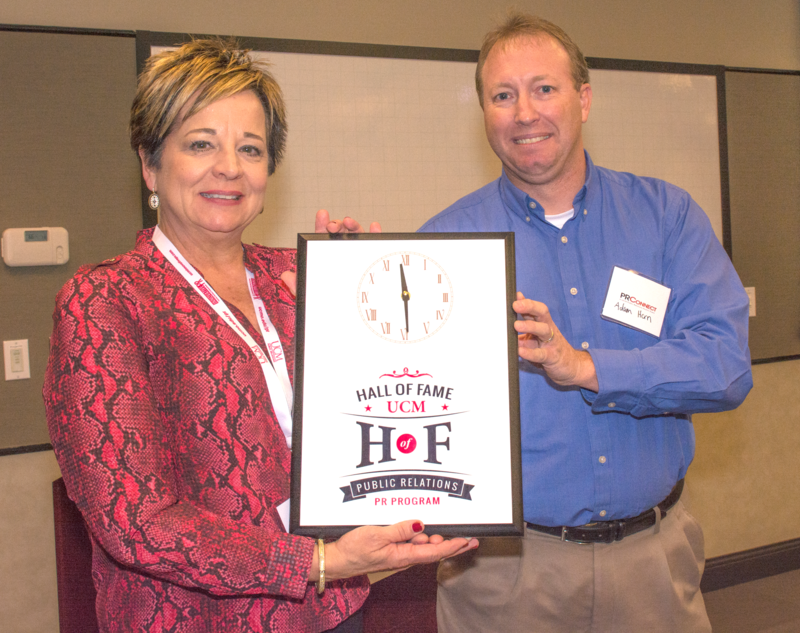 Engaged alumni exemplar, long-time program friend and supporter, internship provider, graduate employer, class host, PR Pro Day participant, development board member, and repeat capstone course client, Paula Derks was the UCM PR program’s first Hall of Fame recipient. As a member of the program’s development board, recently merged with its professional advisory board, Derks volunteered to help with the launch of the PRConnect alumni relations program, while also serving as official host of its kickoff event in October 2016. In fact, Derks served as host, event volunteer and facilitated the UCM PR program’s use of the Aircraft Electronics Association Derby Center for Professional Development as the event venue.